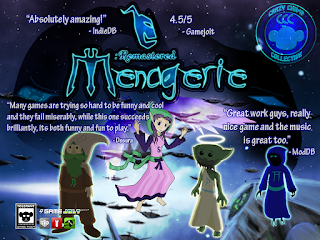 Menagerie: Remastered! Directory: Menagerie: Remastered! Progress Blog now live! Menagerie: Remastered! Progress Blog now live! So Menagerie, with no shadow of doubt, is an excellent game. We really went all in on this one. Definitely one of the most ambitious games I'd ever drafted, space dogfights, exploration of not only a world, but space, it's worlds, along with troves of optional content and easter eggs. 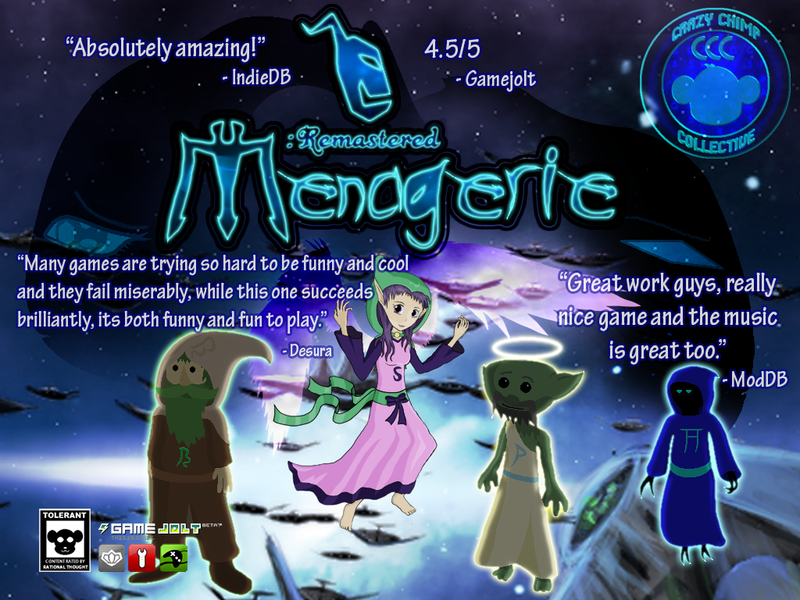 Menagerie in it's first iteration was lacking a lot of that, Menagerie: Remastered completely renovated the gameplay and made the game much easier to get into, with a whole new and exceptionally brilliant OST and so much custom stuff it's bound to burst, you might wonder... why do we even need a progress log for it? Okay no stop. 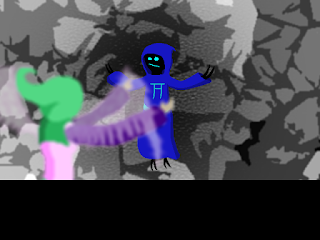 The Answers won't come out of your blue pajamaed friend Fyori, look, we already discussed this! We ultimately had to ship it by the designate date, which was 12/23/2014, ever since, I've slowly but surely been adding optional content onto it. I'm mostly waiting on some things. So Until I get those said things, there isn't a whole lot I can do, however I have mentioned I'll be making states easier to interpret, and making Zardari's bossfight less of a drag. Well both of those are practically already done. There's some tweaks still before Zardari feels right. But ultimately there's still a lot I wanted to do before I go releasing a new build, there's some pretty big bugs currently in the less directed of optional content, too. A wacky yet somehow also dark comedic game that delves into Pep's backstory as the Red Rapscallion. Equipped with a fully evented custom action battle system and charming characters and awesome bosses, this game is a must look into of the CCC lineup. Beanie babies who aren't beanie babies but used to look like them and are colorful enough to be them, are tasked with saving the world from a malignant enemy known only as the "Ancient Ones", however, that's clearly too simple for our caliber of game, but the charming characters will get you to the twists if this game if for you. 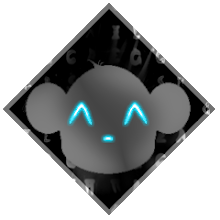 The Newest Project that the CCC is working on, it's a huge conspiracy-focused character-driven shoot-em-up boss rush. An action-rpg with a Solo-character focus based around either a reserved or a genocidal Megalomaniac. I visit most of these daily, so they are also ideal for contacting me if need be.